This post may contain affiliate links for your convenience. For more information please see our policies. 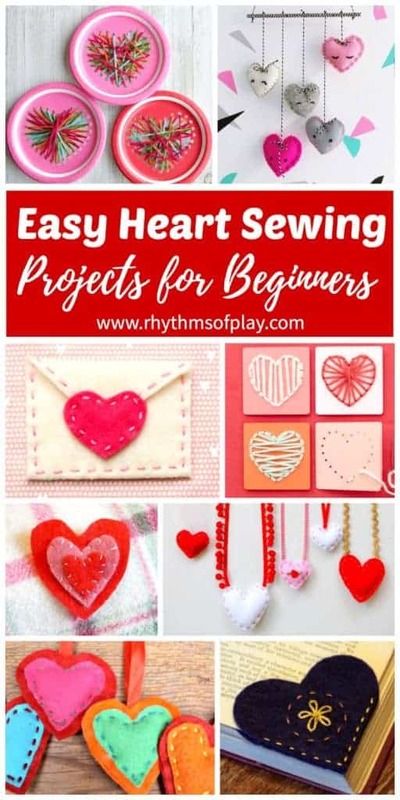 This collection of easy heart sewing projects for beginners are perfect for teaching kids how to hand sew. Any of these simple sewing projects would make a unique handmade gift idea kids can make for Valentine’s Day, Mother’s Day or to share love any time of year! Who doesn’t love hearts? My daughter loves simple sewing projects. Since Valentine’s Day is on the way I thought I would try a few of these easy DIY heart sewing projects for beginners with her. Many of the easy heart sewing projects for beginners below make a great gift idea year round. Some of these can be repurposed into ornaments, key chains, and necklaces while others would make a lovely homemade gift idea for Mother’s Day. 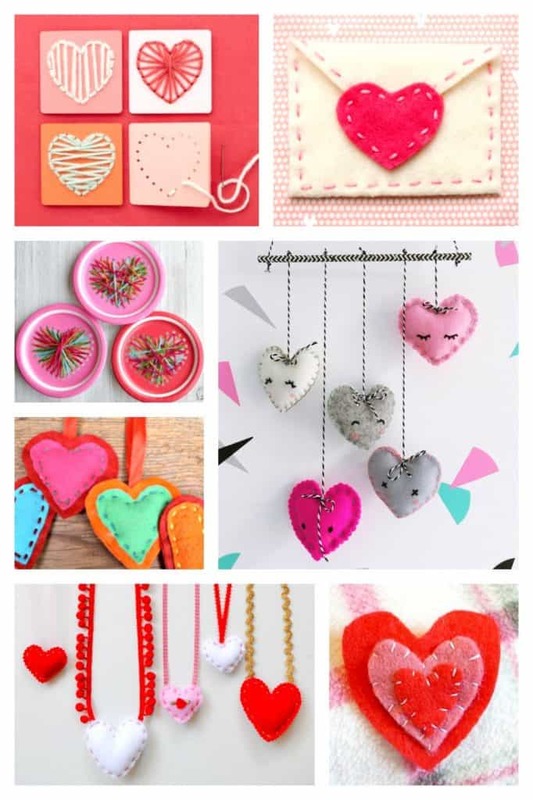 We hope you enjoy this collection of heart-shaped sewing projects for beginners. Click on the blog name following each sewing project for the directions and step by step tutorial. Happy heart sewing! 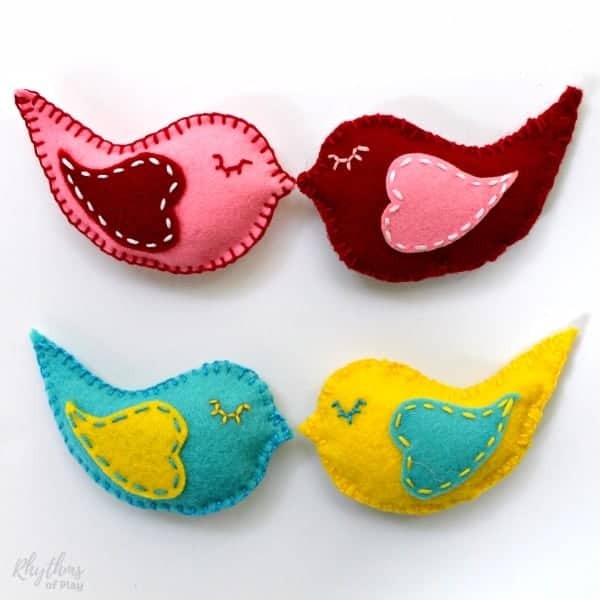 If you liked these heart sewing projects, you will love this hand sewn lovebird sewing tutorial. We made heart shaped wings! These easy heart sewing projects for beginners are great for teaching kids how to hand sew. Any of these homemade craft ideas would make a great gift idea for Valentine’s Day or Mother’s Day. You may also like Valentine crafts and gift ideas kids can make. Learn more about Rhythms of Play HERE! The One Essential Tool You Need To Keep You and the Kids Happy! Subscribe to the Rhythms of Play community newsletter to connect with your children, and find the FREEDOM to do the things you LOVE! Oh my, such a wonderful resource! Thank you so much for including our sewing projects! Wow I love your collection of heart sewing crafts! I haven’t seen some of them so will definitely check them out. Thanks for including my little Love Bugs!! Thanks, and your welcome Trixi 🙂 Your little love bugs are so cute I also had to add them to my love bug round up! The One Essential Tool You Need To Get Organized For Good!